TX Spine and Joint (Houston) - Book Appointment Online! **Please note - Dr. Mehta specializes in Sports and Spine medicine. He does not prescribe opiate pain pills. 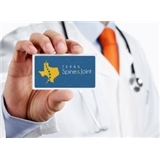 Texas Spine & Joint provides patients with the best innovative healthcare services and customer care. We pride ourselves on integrating new techniques and innovations that provide the relief our patients expect. We look forward to helping you and your family find the relief they deserve. Dr. Mehta and his team at TX Spine & Joint have taken very good care of me. I have noticed promising results and improvement in my current conditions since being in his care. Dr. Mehta is focused on ensuring I get optimal results and treatments and I couldn't be more grateful.